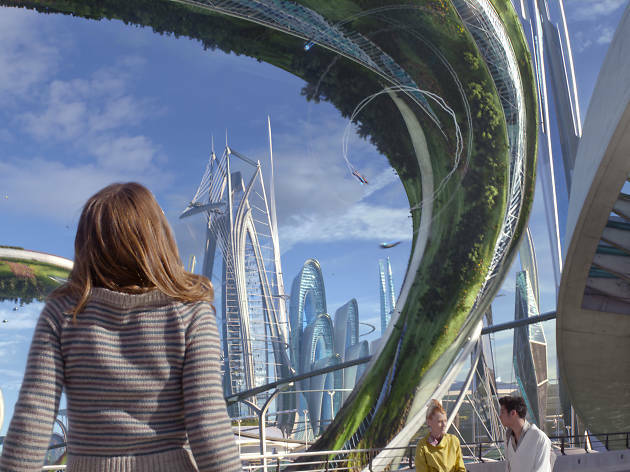 This family adventure inspired by an old Disneyland theme park ride based around ideas of what the future might be like has been shrouded in mystery since it was first announced. Even the trailer doesn’t give much away – a young woman comes into possession of a metal badge which transports her from the humdrum normality of middle America into some kind of fantasy world. 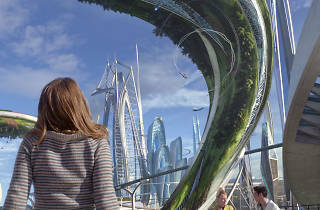 But given the folks involved, we’re inclined to give ‘Tomorrowland’ the benefit of the doubt: ‘The Incredibles’ director Brad Bird brings his unique knack for a mind-melting action scene, while our favourite chiselled ex-bachelor George Clooney takes the lead role. An engaging film, sometimes preachy, somewhat special effects poor, but surely a rarity among movies with the spirit of individualism and creativity lauded. So here's the thing. I have A levels, I can drive a car, I can change a plug, I understand the off-side rule, I can answer the occasional question on Mastermind, I have a degree, I even have Grade 5 piano and used to be pretty good with a bow and arrow (long story). But I could not for the life of me wrap my head around Tomorrowland. Unlike lead character Casey who just understood how things worked (lucky cow), I understood very little. Maybe George and his be-linered eyes are too distracting, maybe I'm not a 10 year old child, or maybe this movie gives us an over-complicated idea of what the future looks like and how to get there, but all I know is that I came away with a headache.